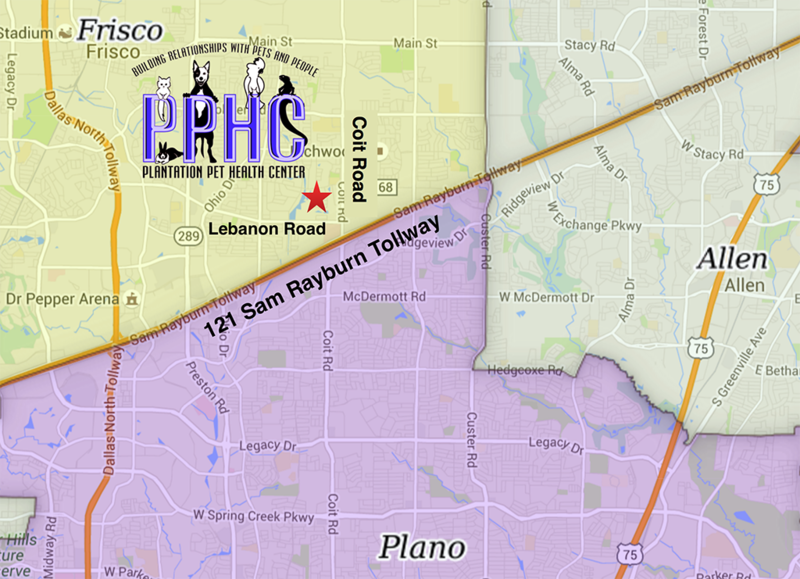 The location of the Plantation Pet Health Center, an animal hospital in Frisco, is on the NW corner of Lebanon Road and Coit Road. The veterinary hospital is conveniently located off of the 121 Tollway, one block north on the Coit Road exit. Dr. George Martin "Doc Martin"